There are no rooms available at Cuillin Cottage Skye @ 7 Achachork for these dates. 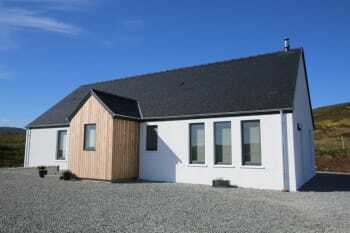 Lovely cottage in perfect location to explore Skye. Beautifully furnished with pictures taken by the owner and log fire lovely for the evenings. Explore the north for a day - it's simply stunning! Best little coffee shop is Single Track at the top of the island for next coffee, cakes and views. No1 Bosville Terrace in Portree was great for an evening meal. Skye candles workshop in Broadford good for a last stop on way home to purchase a few take home treats. 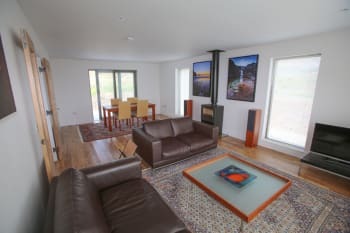 A quiet location yet within easy reach of Portree. Beautiful cottage. Spacious yet cosy. True to the web site and its photos Loved the furnishings especially the owners’ photographic art. Skye is a special place and the cottage reflects this. There were only 2 of us, but it would be spacious enough for four. The location is handy for all the main visitor attractions especially in the north of the island. If the weather is fine, there is no shortage of walks for all abilities and of all durations. If it is raining the cottage is a lovely place to ‘stay in’. There is now an artists’ trail to follow with something for everyone. Thank you for your lovely review and we're glad you had such an enjoyable experience of Skye. Would highly recommend this excellent accomodation. 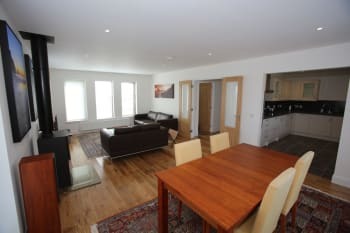 Quiet location with superb views and close enough to Portree. 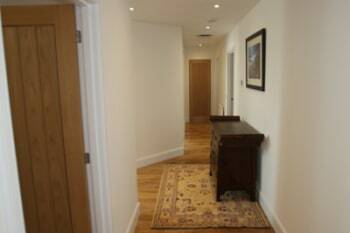 Very much a home from home - modern, tidy, comfortable and well equipped. A gem in a beautiful location. 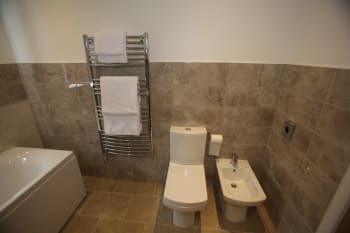 Superbly comfortable with everything you could possibly need for a relaxing holiday. The excellent sound system was an unexpected bonus. Skye Wildlife Tours gave us great views of white tailed & golden eagles plus otters taking us to areas we would never have found on our own. Waterfront cafe at Broadford do the best fish & chips. Best eaten on bench in the park opposite looking at the sea view. The house was a comfortable, cosy retreat from then weather when required and perfectly located to get out and about too. Lots of thoughtful details that made the stay easier - everything we needed was already provided. A great stay - thank you! Thank you for your kind comments Catherine, and we're glad you enjoyed your stay with us. Very nice property, well decorated and furnished. Great views. Very friendly, helpful owners who were prompt to respond to queries/minor problems. 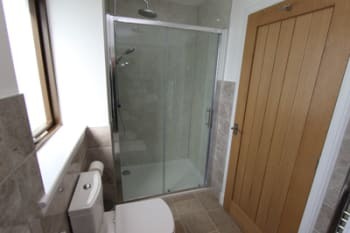 Absolutely fantastic cottage with everything you could possibly need for a comfortable stay. Our stay was during some cold winter weather, however the cottage was extremely warm, with a fantastic wood burning stove. Booking, arrival, and departure all fantastic, helped by the very friendly Catriona and Ronald. Have already recommended the cottage to friends! Old man of storr was a good hike, even in the snow. We also visited the Gaelic Whisky company on the sleat peninsular which was a lovely area to explore more of. The walk down into portree a bit further than expected, however there are taxis available in the square if you dine out in portree. Fantastic stay, house is lovely with amazing views. A lot of thought and effort has been put in to making the house a great holiday let, everything that was needed was supplied. Thank you so much for s great stay. 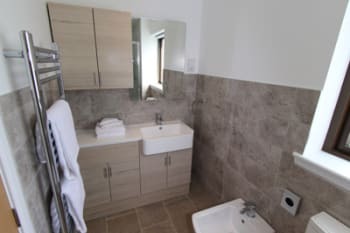 Amazing cottage, everything you could possibly want spotless ,home from home , friendly welcome really lovely place to stay to explore this magic Island . To name a few .. The fairie pools a must , the old man of storr , fairie glens we just drove and were in awe at the scenery majic !! Our favourite meal was in the scorrybreac restaraunt . So glad you enjoyed your stay and exploring Skye, and thank you for your lovely review. Haste ye back! 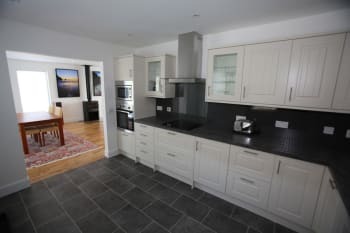 A beautiful well kept cottage in a quiet location just outside Portree. Excellent accommodation with great attention to every detail. 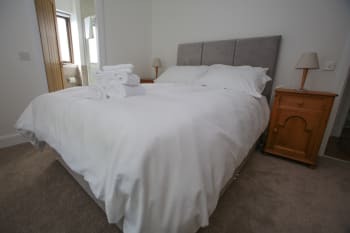 Extremely clean throughout the cottage with very comfortable beds for a good night's sleep after all that wonderful Skye fresh air! Plenty of lovely restaurants in Portree but you must book well in advance. We would walk down from the cottage and get a taxi back (£7 including tip). Visited Talisker Beach which was beautiful and very quiet but there is a fairly long walk from where you park your car. However, the views are amazing. Fairy Pools well worth a visit but get there early as it gets extremely busy and car parking is restricted. We did archery and axe throwing at ACE Target Sports just outside Portree and thoroughly enjoyed it. Matt is a very encouraging instructor with a lot of knowledge. Great directions and welcome, lovely location and spectacular views of the Cuillins from the lounge. 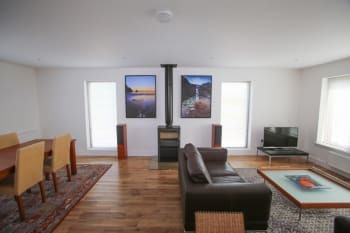 Accommodation and facilities - five star and felt more like a home than a holiday cottage- would definitely recommend if planning a visit to Skye. Old Man of Storr a must for views - need good stamina to get to the needle though but really worth it. Only a short drive from the cottage. Glen elg Ferry good fun and the dramatic drive down to Kylerhea beforehand, on a clear day is unmissable. This was one of the very best cottages we have stayed at. We have holidayed in Scotland every year for the past thirty years. Lots of excellent pictures and Ronalds photographs adorn the walls throughout the property making it more homely, ended up visiting the gallery and actually buying one! The most comfortable and well equipped cottage we have ever stayed in during our many holidays on Skye. 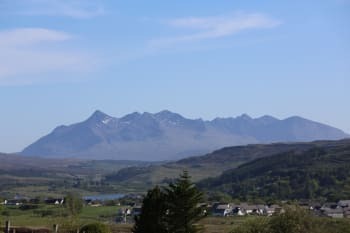 Ideally situated in a quiet rural location yet very close to the town of Portree, and with stunning views to Portree and the Cuillin Mountains. Thank you so much for your friendly welcome and the 'welcome pack' and hope to see you again. Where do I start? Restaurants - Portree Hotel, Cafe in Wentworth Street, Skeabost House Hotel, Three Chimneys, Old Schoolhouse. Kinloch Lodge for Afternoon Tea. Old Man of Storr, Fairy Glen, Fairy Pools, Waternish, Trumpan, Skyeskins, Armadale, Grumpy Georges, Ragamuffin, Old Village Kilmuir, Clan Donald Centre. Lovely luxurious cottage - warm , peaceful and with beautiful views. Friendly but unobtrusive owner. We enjoy mountain walking - there is a host of beautiful walks in Skye. Cottage has a good folder of walking literature. Particularly enjoyed a boat trip from Elgol to Loch Coruisk - but make sure you always pack waterproofs and food! With the maps and walking information in the cottage we found a few walks in the locality that we hadn't done before so we managed to explore new places (despite the weather)! Portree is always nice to visit and walking distance from the cottage so handy if there's anything you need to stock up on or just fancy a short walk out. This is a lovely, peaceful place to stay and you obviously take great care in making it so. 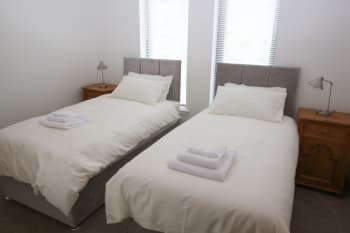 We felt very comfortable in the house and we were very impressed with the cleanliness; the very comfy beds; the spotless bathroom and en suite; the views; the lounge; the kitchen; the quiet room; the welcome pack - well, just about everything actually. It is also very handy for visits to the shops and large supermarket in Portree. With the house being so spacious and airy, staying in on a stormy day made an atmospheric and welcome retreat from our everyday, busy lives. We even made friends with the local ram who came to stare at us over the fence each day. We named him Darren. 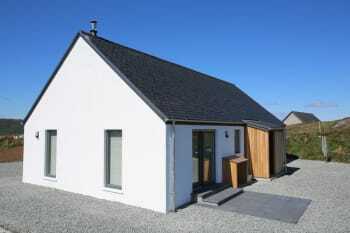 Cuillin Cottage gets top marks! Many thanks for giving us such a memorable and pleasant holiday. Sad to leave.